Travelling is an art which liberates you from the hectic worldly affairs and if it is it a trek where you get to meet the divine, then it is all things good. You start to feel better in life. 5242 metres / 17194 ft.
Embark upon a journey to the Kinnaur Kailash mountain range to enjoy the breathtaking views of the Indian state of Himachal Pradesh. Let’s have some talk with the nature! Kinnaur district is the north-eastern border city of Himachal Pradesh with a distance of 235 km from Shimla. 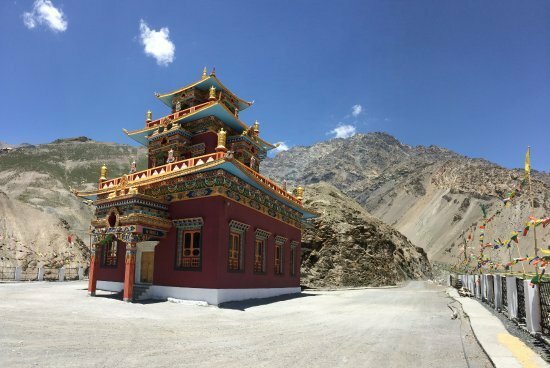 It is situated on the Indo-Tibetan border and the state has 12 administrative headquarters out of which Kinnaur is one of them having its new headquarters at Reckong Peo. 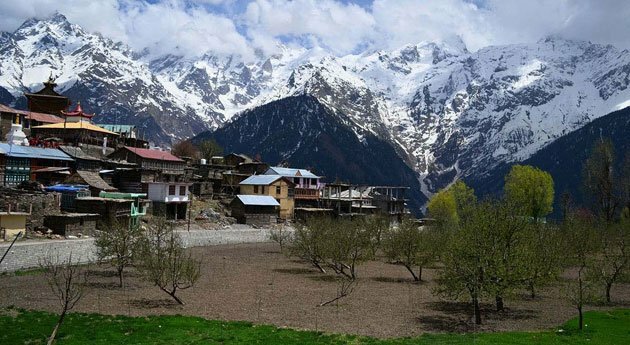 Earlier, Kalpa was the administrative headquarters of Kinnaur district. The winter abode of Lord Shiva; Kinnaur Kailash can be seen from Reckong Peo. Kinnaur is the second least populous district of Himachal Pradesh having some amazing flora and fauna. The district has mild climate; winters starting from October and ending in May while summers are from June to September. 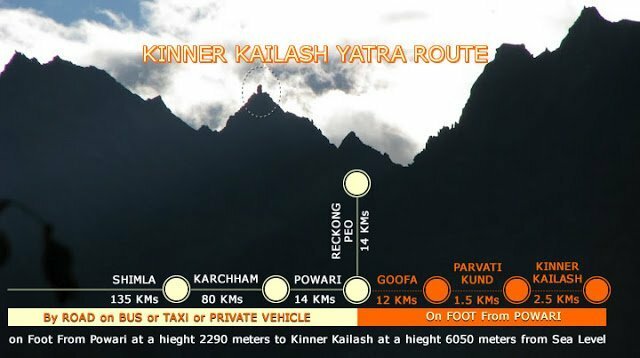 What is the best time to visit Kinner Kailash? The best season to do Kinner Kailash trek is from mid May to September. The Yatra usually begins in the month of May and continues till October but it is said that pilgrims should do the Kinner Kailash trek between September to October as that is the most favorable and probably the best time to visit Kinner Kailash. Before September, the valley might experience heavy monsoon which can cause cloud bursts, landslides and avalanches. Travelling during the suitable months can make your travel experience of Kinner Kailash Yatra a memorable one. Kinnaur is most famous for the Kinnaur Kailash Yatra and entry to Kinnaur valley was opened for Indians only in the year 1993. Before that outsiders were restricted in the district of Kinnaur. The Kinnaur Kailash Mountain is considered sacred by both Hindus and Buddhists who inhabit the district of Kinnaur. The Yatra to mount Kinnaur Kailash (locally called as Kinner Kailash) is basically a parikrama of Kinner Kailash mountain peak. Earlier, this parikrama was a distance of 200 km but later on, this distance was cut short for the convenience of pilgrims. Start from Chandigarh and it will take about 3.5 to 4 hours by taxi to cover a distance of 100 km. The next morning one can start from Shimla to reach Kalpa village. One can take small breaks at Narkanda or Rampur Bushahr. It’ll take about 8 hours to reach Kalpa from Narkanda via Rampur Bushahr – Sarahan – Jeori – Tranda Dhank – Kalpa. It is advised to take some rest after reaching Kalpa and start with the trek early in the morning. 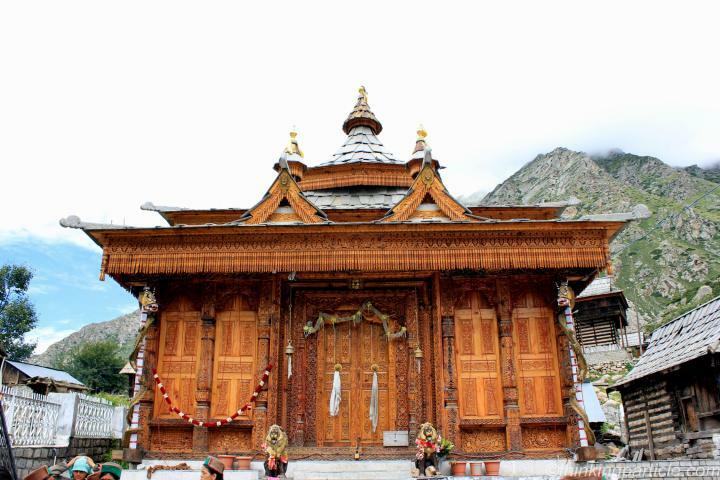 Kalpa is situated at an altitude of 2890 meters and Lambar is about 60 km from Kalpa. One can drive from Kalpa to Tangling village (near Reckong Peo) and pass through the beautiful locales of Powari – Ribba – Morang – Thangi and reach the destination for the day, Lambar where rest can be taken to start for the next day trek. There are two ways to reach Tangling valley – one is, by crossing a jhoola pul near Powari (NH 5). Another is, by crossing a bridge near Shogtong (4km from Powari). Lambar is a very small village in the Morang tehsil of Kinnaur district having about 26 households in total. It is at an elevation of 3150 meters and the 8 km long trek till Surting starts from this place early in the morning. Surting is a small high land in Kinnaur district where two small streams meet and form Lambar River. This region is very close to Indo – Tibet border, therefore an ITBP check post is set up at this altitude where trekkers have to register their names with the security forces due to security reasons. Head start your next day trek from Surting and after trekking for around 6 km, you’ll reach Charang valley which is famous for Buddhist monasteries – Kibber, Tabo and Dhankar to name a few. Stay at Charang valley for the night and start up with your Himalayan trek the next day. Get ready for an uphill trek for the day starting from Charang valley. It’s about 8 km of trek till the destination for the day, Lalanti, which is at the base of Charang La pass. You can enjoy the beautiful landscapic view of Lalanti, the land of meadows; it is so full of some rare Himalayan flowers blooming under the alluring blue sky with the sound of the river flowing by your side. Indeed a scintillating view to enjoy! Gear up for probably the toughest trek of this Yatra which will start from the base of Lalanti. You will have to cover a distance of about 30 km while trekking. Trek up to Charang La pass from Lalanti base; it will give you an experience of a lifetime as you’ll climb one of the highest mountain passes in India situated at an altitude of 5300 km. Capture the beautiful scenic beauty of Rangrik mountain ranges and Kinner Kailash mountain range that surround the Charang valley. Trek down and walk till you arrive at Chitkul village. Chitkul village is the last inhabited village of Kinnaur district near the Indo – Tibet border. It is on the banks of Baspa River and is the first village of the Baspa Valley. This is the last point in the Indian Territory where one can travel without a permit. The road closes for travellers 90 km before the Indo – Tibet border and this restricted area is under the direct control of ITBP. 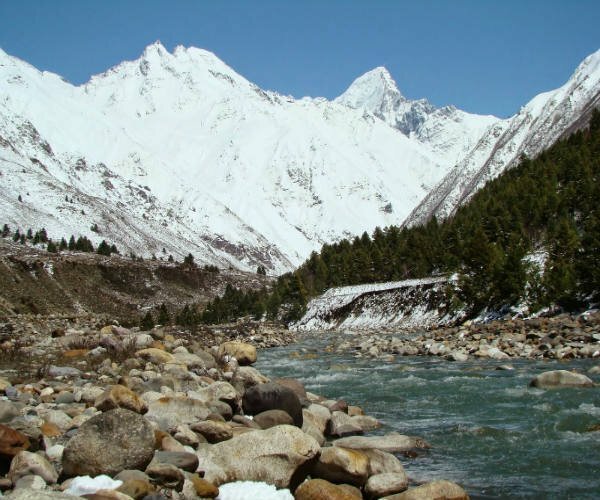 28 km from Chitkul is the Sangla valley, where one can choose to stay as at Chitkul, the weather changes abruptly and staying at Chitkul can be an expensive option. Board a HRTC bus from Chitkul village which will drop you at Sangla valley/village. You can commute using these buses from Chitkul to Sangla whilst enjoying the lovely weather and jaw – dropping scenic beauty of Kinnaur as you are about to end a thrilling trek. So, for one last time capture the panoramic views of this heavenly place in your eyes and off course in your cameras. After reaching Sangla valley, drive back to Shimla using any of the convenient modes of transport available easily at Sangla valley. Drive through NH 5 and it’ll take you about 6 to 7 hours to reach Shimla. After arriving at Shimla, you can choose your pick, whether you want to drive back to Chandigarh the same day or you want to take a halt at Shimla and leave for Chandigarh the next morning. Planning a Trek to Kinnaur Kailash? Pack this stuff! 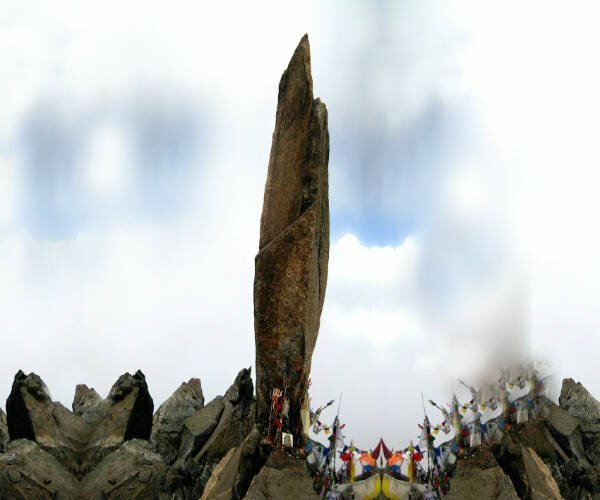 Make up your mind now to travel to the most amazing place in Himachal Pradesh which is Kinnaur and seek the blessings of Lord Shiva by doing the holy darshan of the Kinner Kailash parvat. Trekking up to this altitude will leave you spellbound thanks to the beautiful natural beauty that surrounds this place plus you will get to fulfill your adventurous deeds.